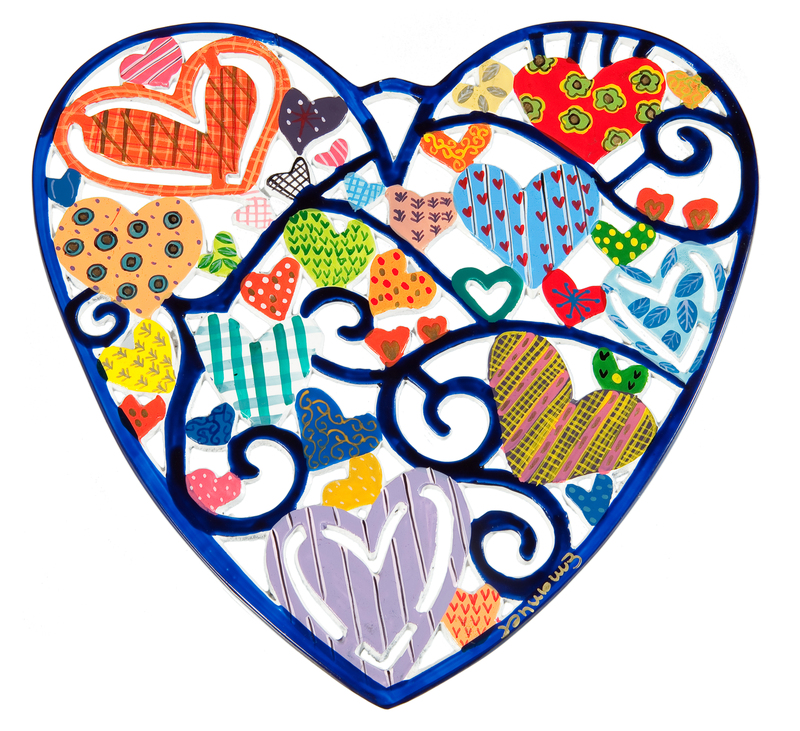 Love is in the air with this radiant hand painted heart shaped wall hanging. Inside the big heart are different colored and shaped hearts. Open your heart and let the love flow in. Love comes in many different shapes and sizes, just like this stunning Israeli decor wall-hanging from the talented Yair Emanuel. He is one of Israel’s well-known artists and his art is known worldwide. The bright colors and hearts will brighten up anyone’s day and will look perfect in any lounge or dining room setting. This is a wonderful gift for Valentine’s Day or a birthday. Small: 5.9" X 5.9" , Big: 9.84" X 9.84"